Making One’s Own | News, Notes & Observations | Hoefler & Co.
“I never wanted to draw typefaces, I wanted to have typefaces.” I found myself uttering these words to a filmmaker this past spring, who shared them first with an audience of design luminaries, and then with the entire internet. It’s a strange sentiment, but one that’s familiar to anyone who makes things: as a designer, I couldn’t find the tools I needed, so I made my own. I designed typefaces to fill measurable holes in my palette, and to help me do things that other fonts couldn’t. As it turned out, the business of identifying these opportunities and inventing things to satisfy them became a project unto itself, which is how this company came to be, working to create the typefaces that help designers do more. My work at Hoefler&Co gives me the chance to contribute not only to the fonts themselves, but to a range of communications that use them, from paper invoices to type specimens to web applications. Each of these projects invites different ways of using type, and each raises different questions about what kinds of tools might help designers like us do our jobs more effectively. As someone who came to design through programming, I especially love the web: I find it satisfying to experience and rewarding to design for, even if I’m impatient with the pace of its growth as a typographic medium. Having outgrown an infancy of core webfonts that were high in quality but few in number, the web moved squarely into its adolescence, full of exuberant but badly behaved fonts that have yet to live up to their potential. Most webfonts are hard to read at text sizes, especially on Windows. Type is often broken, congested, or muddy; font families available for the web regularly include styles that are untenable on the screen. 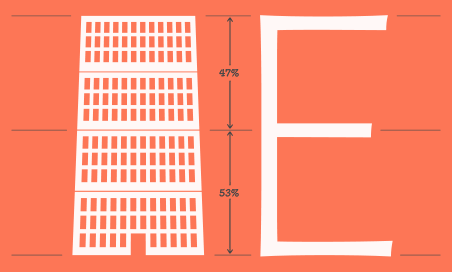 Indispensable tools like small caps and tabular figures have been ignored, limiting the ways in which designers can organize and articulate information. 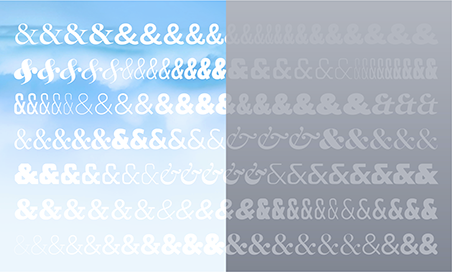 In response to these challenges, and in keeping with our tradition of helping designers solve problems, we created Cloud.typography, a webfont solution for design professionals. Like the fonts themselves, Cloud.typography is a tool, built to provide everything you need to create online experiences with the level of quality you’ve come to expect from us. Typefaces are designed to solve problems. A good webfont should take on the biggest challenges of all. Our goal wasn’t just to port our library of fonts to the web, but to create a new typography that suits this medium — not just fonts on the web, but fonts for the web. These are our ScreenSmart fonts, designed from the pixel up, and built to perform at text sizes as small as nine pixels. One rewarding milestone in designing a typeface is getting to use it yourself, which we’re doing today: the redesigned blog you’re reading features three of our new ScreenSmart families (Mercury SSm, Whitney SSm, and Gotham SSm) as well as our multipurpose Sentinel family for headlines. ScreenSmart fonts give us the opportunity to be as expressive online as we are in print, and Cloud.typography ensures that this same experience is delivered to readers on all browsers and all platforms. We’ve taken the opportunity to rework all six years’ worth of blog entries, to take advantage of all things we can now do with Cloud.typography: jump in and you’ll find exotic punctuation marks, extended accent sets, obscure and typographically complex numbers, unexpected kerning pairs, and letters brought back from extinction — all rendered using ScreenSmart fonts that are specifically designed for online text. These are the tiny moments in which a good webfont shines, and where typography proves its value to authors, designers, and readers.